A delicious and easy mid week meal. Just 3 minutes prep and 30 minutes in the oven to make this Mozzarella, Tomato & Basil Pesto Chicken! As a busy parent I know that getting a quick and healthy dinner on the table can often be extremely stressful. By 5pm everyone in my house is starting to get a bit grumpy and the last thing I want is to spend hours slaving in the kitchen over a meal that the kids are too tired to eat! So today I am sharing one of my failsafe mid week dinner recipes; Mozzarella, Tomato & Basil Pesto Chicken. 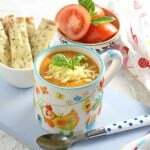 Its super easy to make, taking just 3 minutes of preparation time, followed by 30 minutes in the oven during which you can get on with evening chores or helping the children with their homework. Better still, there’s just 4 ingredients… that’s my kind of recipe! Pre-heat the oven to 180c / 370f. 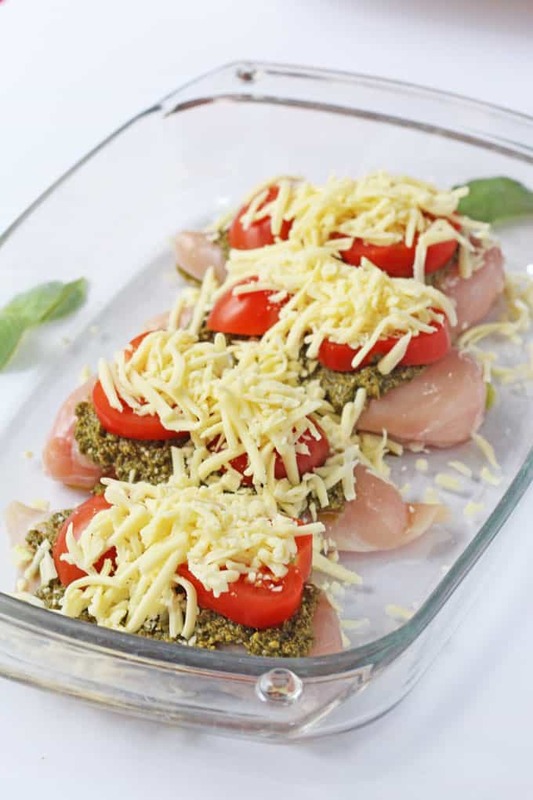 Place the chicken breasts in an oven proof dish and spread 1 tbsp of the basil pesto onto each chicken breast. Add the sliced tomatoes on top of the basil pesto. Sprinkle the grated mozzarella on top of the chicken breasts. 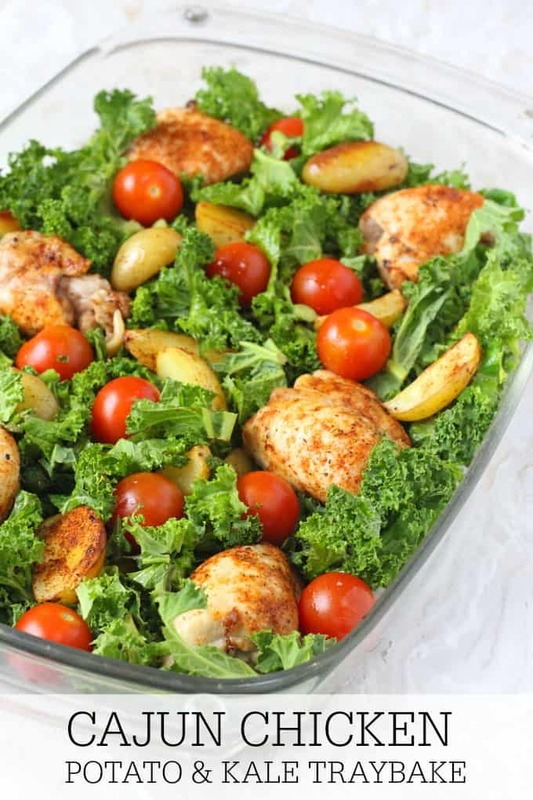 Bake in the oven for 30-35 minutes ensuring that the chicken breasts are thoroughly cooked all the way through. Am I missing something here? Where is the recipe? It looks good but I won’t make it if I have to watch a video, I prefer written recipes I can look at the ingredients and know right away if I am going to make the dish or not. I love this recipe. Super tasty and really easy to put together too. Whole family loved it. 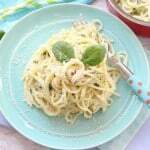 is there a particular brand/flavor of pesto you use? Whatever is your favourite! Or homemade works too! Can you freeze this one cooked? If so how would you reheat? To be honest I wouldn’t freeze it. Best to cook and eat it fresh. I can’t seem to find the written ingreidients and instructions like with the other recipies? Thanks Chantelle, I hope you like the recipes! 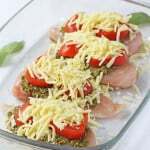 this recipe is super basis – simply chicken breast, pesto, tomato and mozzarella and then baked! Yes anything you like really… salad or homemade potato wedges. Vegetable Rice is good too! 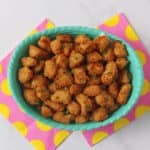 I’ve made this several times and wanted to say thank you so much for the recipe! It’s a staple at my house now!! ???????? Fantastic!! So happy to hear that! Where can I find the recipe to print? Trying this tonight but did I miss somewhere what temp you cooked it on? Hi Sherry, bake it for 30 – 35 mins at 180c / 350f. Enjoy! You can if you like. Depends how much you like the cheese the brown. Oh wow, I never knew you could get pesto powder. Sounds brilliant! Looks super easy and delicious! Right up my alley. Thanks for the video to show how incredibly easy it is! Michelle it is so easy, that’s why I love it!!! 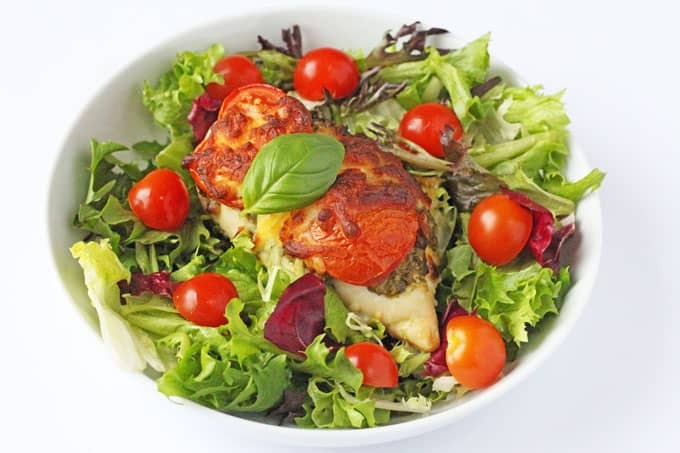 Do you add a dressing to the salad with your chicken? Hi Amanda, I don’t as I find the pesto from the chicken to be enough. But you could add any kind of dressing if you would prefer! I wish I had the time Eb!! !